Naming your dog or cat is one of the most important aspects of welcoming him into your family. Giving a name to a family member is especially important if you seek to have this pet serve as your Emotional Support Animal or ESA. Agree on a single name for your new puppy or dog with all other family members. If possible, choose a name before he arrives home, as temporary nicknames have a habit of sticking! 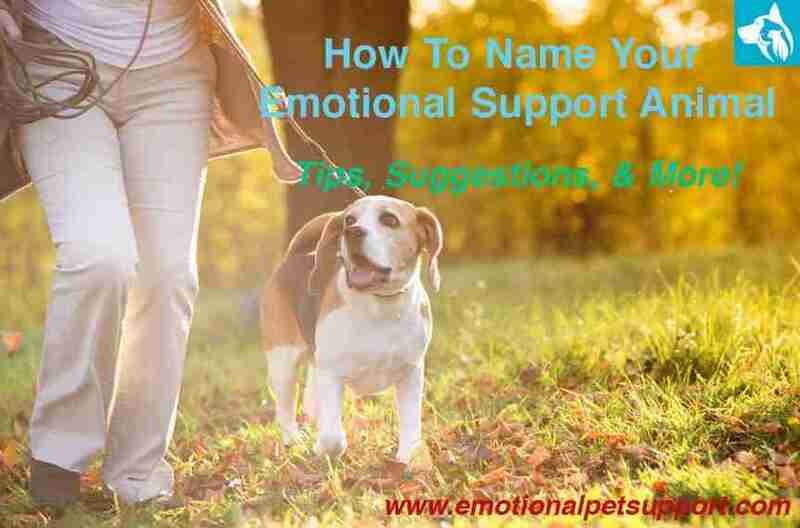 A short name is easier for your emotional support dog to learn, and for you to call. Two-syllable names work well and are easy to give a happy-sounding inflection. Avoid names that sound like cue words you’re likely to use when training. Don’t pick a name similar to those of other pets and family members, as this could also lead to confusion. If your new puppy or kitty already has a name, but you don’t like it, it is fine to change it — there are no unlucky superstitions attached to doing so, as there are with horses! If you are taking on a pet with an unknown history, or who is suspected of having been abused, a change of name may even be a good idea. As well as reflecting a fresh start, a new name will not be associated with any punishment, fear, or trauma he may have experienced previously. Most dogs, of any age, can learn a new name easily — simply follow the steps right. It’s important to create positive associations with your emotional support animal’s name, so don’t use it in a cross or exasperated voice, or in connection with anything he views as unpleasant, such as calling him to you to be given medication. Don’t continually call his name just for the sake of it either, or he will start to ignore it. Having decided on the perfect name, you then need to teach it to your emotional support animal. Along with toilet training, this is pretty well the first part of any formal training you do with him — and if you have more than one pet, it will help in differentiating between verbal cues given to each. Say his name in a bright, cheery voice. If he looks at you, praise him, and give him a treat, so he learns that whenever he hears his name, good stuff happens. You will be paving the way for future success, as this is also the first essential step in achieving a really good recall later on. Ask everyone else in the household to occasionally call the pet’s new name and give him a treat too. Have lots of these sessions throughout the day. Practice in lots of places: different rooms in the house, outside in the garden, and outdoors away from home. Repeat his name just before you put his lead on, make a fuss of him, give him his tea, invite him to play a game, or do anything else that he thinks is fun or enjoyable. Once he has learned his name, you can use it to gain his attention before asking him to do something. There is no need to use his name if he is already looking at you and paying attention. Don’t stop! Continue reinforcing your pet’s name in a positive way throughout his life with praise, petting, and occasional treats. The oldest known dog name known is the tongue-twisting Abuwtiyuw (pronounced ‘Ah-boo-tee-oo’), which loosely translates as “Pointy Ears”. According to National Purebreed Dog Day, Abuwtiyuw was either a Pharaoh Hound, or Ibizan Hound! Belonging to a royal servant in ancient Egypt 4,500 years ago, this sight hound was given an impressive mummification funeral, with his name engraved on a limestone slab. The inscription also relates how it was ordered that he be given a coffin from the royal treasury, fine linen in great quantity, incense, perfumed ointment, and a specially built tomb. Other ancient Egyptian dog names have been found on excavated collars, monuments, and carvings. They include names such as Reliable, Brave One, Good Herder, North Wind, Antelope, and even Useless — although hopefully meant in an affectionate way! Still stuck on deciding what to name your ESA? Inspiration can be found all around you: there are books of doggy names, kitty names, and many online sites are stuffed with suggestions. With recent years seeing an increase in human names, reflecting the way in which dogs are often regarded as fully-fledged members of the family, you’ll also find plenty of choices in baby-naming lists too. Alternatively, you might choose from characters in favorite books, films, or TV shows. But not all heroes to name your dog after need be fictional. Although Fido, Rex, and Rover are rarely used these days, they remain a generic ‘everydog’ name, like John Smith for humans. during the 18th century. Undeterred by the male nature of the name, George Washington allegedly had a dog called Lady Rover. Rex is another Latin name, meaning ‘King’: Rex the Wonder Dog appeared in a 1950s comic strip, while another Rex was a famous canine actor in the 1920s. 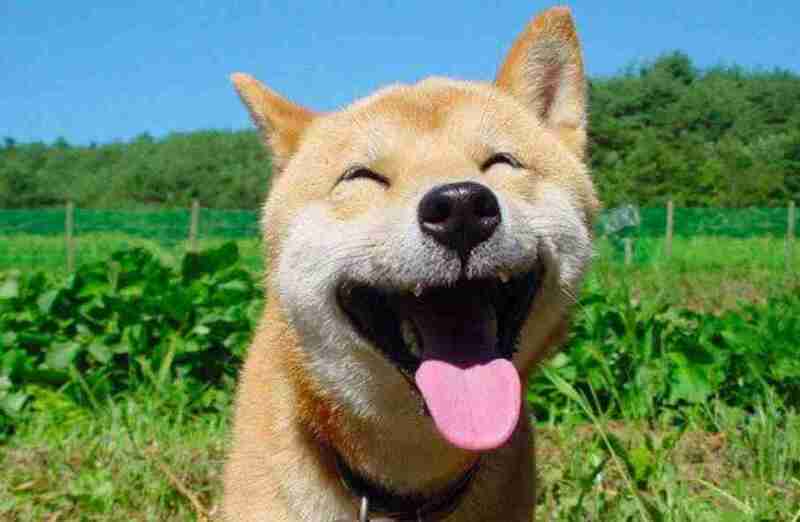 Fido is Latin for ‘faithful’, and probably dates back to ancient times. Abraham Lincoln owned a dog called Fido. As the first presidential dog to be photographed, his name became popular in the USA as a result of his fame. Another famous Fido was an injured stray Italian dog, adopted during the Second World War by factory worker, Carlo Soriani. After being nursed back to health, Fido lived up to his name by accompanying his owner to the bus stop every morning, and waiting there to greet him on his return each evening. One day, Carlo failed to arrive, having been killed during a bomb attack, but Fido continued to wait for him every evening for the next 14 years, right up to the day of his death. 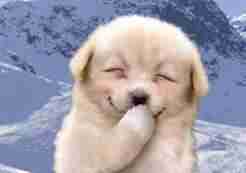 Over 250,000 dogs are registered with the Kennel Club each year? Thinking of a dog name for your ESA doesn’t have to be difficult. Because, this is where your imagination can run wild — although it must consist of more than one word but not be more than 24 letters long. If those sort of classes don’t appeal, there is always the 50 unique names for dogs that PetHelpful listed.